In a recent session in the Castle of the Mad Archmage, the Muleteers went to retrieve the bodies, dead or alive, of a couple of rival party members who had gone missing, sent running by a fear gas trap in the middle of a series of rooms full of bats. This meant fighting giant bats, lots of bats. It was actually my first time dealing with lots of flying attackers and I improvised, inconsistently, a number of rules solutions to represent their menace. 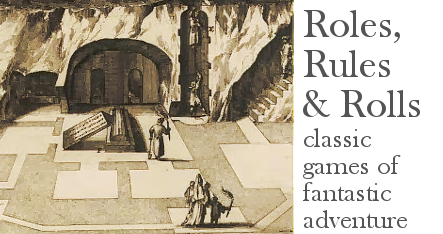 After thinking things through I created this one-page rules sheet for the 52 Pages system. 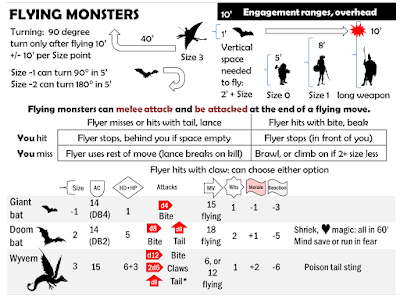 It covers where and how flyers can move, and what happens when they attack. Their ability to charge and overfly, surround and disorient, add to the tactical challenge. 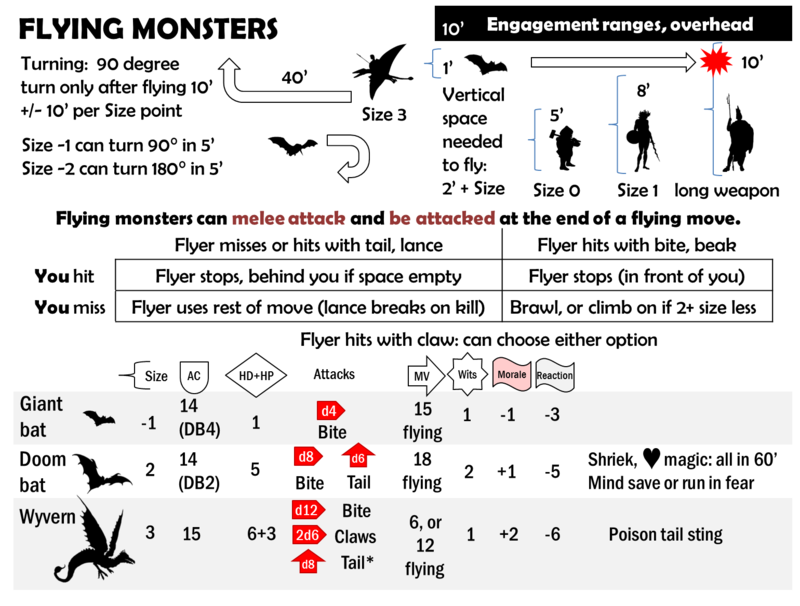 One other things: a critical hit that wounds a flying creature in "arm"or "leg" brings it down for good, showing up the greater vulnerability of wings.